What are the varieties of kratom? How does kratom work in the brain? Kratom comes in three different colours; The Green Vein Kratom, Red Vein Kratom, and White Vein Kratom. The division of the kratom depends on the color of the stem and vein of the leaf. Different colours determine the composition and effects of the kratom. 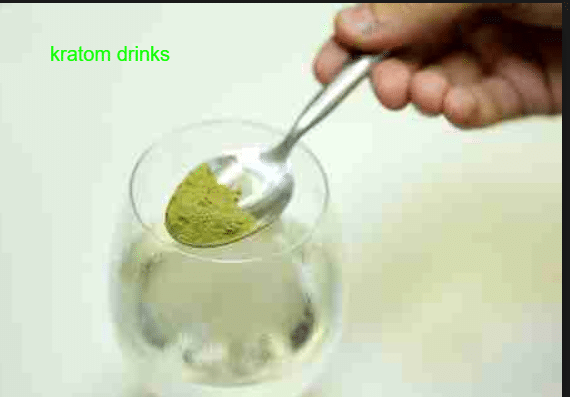 White vein Kratom differs significantly from Red Vein Kratom and Green Vein Kratom. White vein kratom is a definite mood enhancer and a stimulant. It helps in fighting depression and low mood. White Vein Kratom is very stimulating and energizing, and this is due to the unique content of alkaloid present in it. When comparing the Red and Green Kratom with the White Kratom, you can conclude that White Vein Kratom has less pain killing effects. After consumption of the White Vein Kratom, you should expect an increase in productivity and high energy levels. Many take the White Kratom to increase concentration, motivation, and stamina during the long working days. It can also be used by individuals who feel exhausted and those who are gloomy. Kratom has mitragynine as the principal alkaloid thus bringing psychotropic effects that can make one feel ‘high’. Normally, mitragynine stimulates activity in the brain and also reduces pain. Often kratom and opium have shown similar effects to the brain of the user. When someone uses kratom, it’s active components reach the brain and influence one’s mood and anxiety. Kratom has a euphoric effect similar to that of heroin and opium. When kratom is taken in small amounts, users have more energy and are more social and alert. When consumed in large quantities, users experience pleasure, decreased pain and sedation. Kratom can also make you uncomfortable and has adverse side effects. Kratom is sometimes sold as gum or an extract. Traditionally, kratom was consumed by crushing the leaves and taking them in tea. Some people chew the leaves or brew the dried or powdered leaves as tea. Other times people smoked the leaves or ate them in food. In the modern day, kratom can be taken as capsules, pills, and powders. When in powder form, you can add the powder to water or juice. When making the kratom as a capsule, use water to swallow it. The amount of kratom consumed will reflect on the effects that will occur. The functioning of kratom is also determined by some factors which include; the individual level of tolerance, the method of consumption, the sensitivity of an individual and many more. A dosage of 3-5grams will make one achieve the stimulating effects. 5 grams’ quantity of kratom could have various effects, for example, optimal energy boosts, increase in focus and also it reduces background distracters. It is important to note that many times the aroma of the kratom takes time to come into effect and hence patience is required before you rush into taking a second dose. When one consumes kratom, the effects of the kratoms are felt after 10 to 15 minutes. For a small dosage, the results can last for 2 hours. For a higher dosage, the results of kratom can last for 8 hours. Consuming four to five grams of kratom can make you feel the effects for two hours while drinking a much higher quantity of seven to eight grams can make the results last longer; when taking kratom while in a full stomach, the results may take an hour or more before occurring. Taking kratom on an empty stomach can heighten the impact. When someone takes kratom in the form of a capsule, the effects may take up to 3 hours to occur since the capsule must be digested and dissolved in the user’s stomach. In most cases, kratom will take a period of one and half hours to two and a half hours for the effects to occur. Consuming too much kratom is unhealthy. People who take high doses of kratom are likely to be dependent on it. High doses of kratom have adverse side effects like hangover, nausea, and headache. However, a small dosage of kratom has little or no side effects. You may ask how long does it take for kratom to stay in the system after someone uses it. There are various reasons as to why someone may request such a question. The primary reason could be; if someone has an upcoming drug test or when an individual wants to withdraw from the drug but he or she is afraid of the withdrawal effects. There hasn’t been a lot of research done on kratom, so researchers do not know the half-life of it. However, based on the research done, the primary alkaloid found in kratom, mitragynine, has a life of 23.24 hours. Based on the study, it would take someone a day to get rid of 50% kratom in their body. To clear all the kratom in the body, it would take one a minimum of 5days. Long-term kratom users are likely to make a more extended period to get rid of kratom in their body than those who use it less frequently. There is a common belief among people that kratom does not show up in drug tests like other opioids and substances. Kratom will not be present in specific drug tests like SAMHSA-5, but other advanced drug tests will make the alkaloids visible in urine and the blood. There is also a drug test called kratom 10-panel drug test that will show kratom positive for its’ users. 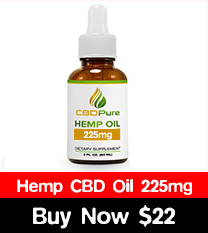 Specific urine tests will show the presence of kratom alkaloids in the urine. Research has not indicated for how long kratom is detectable in the urine, but if you take a drug test in less than two weeks after using kratom, it is likely that the results will be positive. For those who consume less kratom, a drug test would detect kratom used in a week’s time. Blood tests can be used to show the amount of kratom consumed by a person. Kratom is a substance that is readily detectable in blood. Days after consuming kratom, tiny metabolites of kratom can still be detected in the blood. However, unlike urine tests, blood tests only provide results of a short window. Testing hair follicles are seen as a reliable way to check for substance use. There is minimal research indicating the presence of kratom in hair follicles. However, with more research being done, it is likely that tests for kratom may include hair follicle tests. Testing saliva can be used to detect kratom metabolites. Testing oral fluids are done to test a variety of other drugs, but with kratom, such tests have not been undertaken. Kratom is an organic plant. Over time, the mitragynine alkaloids in the plant degrade. However, the period that a kratom plant lasts depends on the quality and type of the product. If kratom is stored in the wrong environmental conditions, the alkaloid converts to mitragynine pseudoindoxyl which degrades the positive effects of the plant. For a long shelf life, proper care and storage conditions should be followed. For optimum results, kratom powders should be used for one to three months. However, if you use your product regularly, you do not have to worry about how long your product lasts. Purchasing premium quality crushed kratom powder in large sums makes it hard to store. You can buy large quantities of premium quality kratom when several people use the product in your household. The longevity of your kratom will depend on the supplier. Some suppliers do not follow proper storage rules so your product may not last for long after it has been delivered. To get the best product, consider researching before you order from the online platforms. Better products will last longer so when purchasing kratom, research for the best kratom vendor. How long your kratom lasts depends on the storage precautions you undertake. You can follow the tips below on kratom storage. The temperature of the area you chose to store our kratom should be cold. Some people opt to store in a refrigerator, but it is not strictly necessary. Instead, please store in a cool place away from direct sunlight or heat. The recommended storage place could be in a kitchen pantry, garage or any cool place. Please avoid exposing your kratom product to oxygen. If exposed to oxygen, the oxidation process may interfere with the alkaloids and reduce the life of the kratom product. For excellent results, consider storing kratom in a vacuum-sealed, airtight container. More so, you can store kratom in a Ziploc bag ensuring there is no air in the bag. When storing your kratom product, choose a location with no moisture. Any exposure of the product to moisture will cause mould growth on the kratom leaves hence destroying the product. Mould is poisonous, and if your product has mould, it is recommended that you discard the whole product. Your product may be exposed to moisture if you leave it in a place where it can get humid or where steam may get into contact with it. To avoid moisture exposure, store your product in a dry place, i.e. a glass jar. Exposure of kratom leaves to bright light damages the chemical structure of the product hence speeding up decay. Ultraviolet rays are harmful to kratom leaves, and you should store your product away from direct light. UV radiation found in household bulbs can also impact negatively on your product. How long your kratom lasts depends on the storage precautions. Remove you daily dose quantity and place it in a container. Leave the bulk packet in the storage area. Avoid exposing the kratom product to direct heat, light, air, and moisture. Ensure that your hands are dry when handling the bulk bag. Use a clean, dry tool to scoop the kratom required. Make sure that all measurement instruments are dry so that any excess kratom is returned in the bulk bag. Regularly test if your kratom is still good by checking how long the effects last. Many people believe that kratom will not show up in drug tests, but that is not true. Some people claim that Kratom is dangerous and deadly. The reality is that Kratom has been used over half a century around the world and no scientific research has supported that it is deadly. There is a claim that Kratom is the same as bath salts, spice, and other designer drugs. But, kratom is a natural herb with medical benefits. In conclusion, kratom is a herbal product with health benefits and safe for human consumption. Kratom also has health benefits. Kratom has been used for over half a century, and over the years it has evolved to pills, capsules, and extract. You can follow the tips above on how to store your kratom product for longevity safely. Remember to research before purchasing kratom from online platforms. Previous PostKratom Pill: How long does it take for Kratom pills to kick in?